Masahisa Fukase's Raven Scenes was taken with a 35mm colour positive film in Kanazawa, Japan in 1977-78. 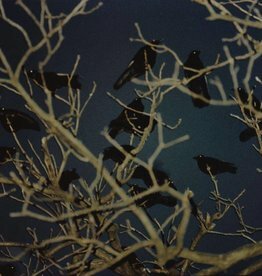 Originally titled “Karasu-kei” (Landscape with Ravens), the series was published in Camera Mainichi from 1976 to 1982 in eight-instalments under the title “Ravens 4”. With the full support of the Masahisa Fukase Archives, Benrido have made the first ever edition of prints from Fukase’s Raven Scenes. Fukase’s exhibition Private Scenes, with among others work from the Ravens series, is on display at Foam until 12 December. The print will be carefully wrapped and send as an insured package. You will receive an e-mail with a Track & Trace code when the package is on its way. For more information or questions about buying this work, please contact the Foam Editions team.